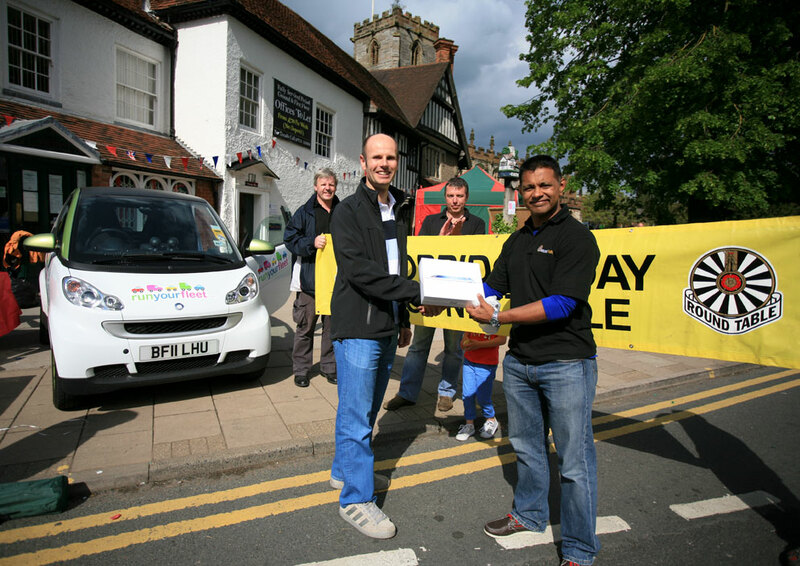 As part of the Queen’s Diamond Jubilee celebrations we sponsored the Knowle Street Fair. It was a fantastic day attended by thousands of locals and visitors to the area. Van Buren was a hit and the bands kept everyone jamming along throughout the day. A couple of rain showers reminded us that we were British but the sun shone brightly for most of the event. The lucky winner of our iPad was Dave Dalby who guessed 679 balls and balloons in the Smart car (which matched the number exactly). Dave is not local, but was visiting people he knew in the area. He nominated Knowle C of E Primary School to receive the £600 prize money. The picture shows our Chairman Kam Majevadia presenting the iPad. Thanks to Steve Whitmarsh and RunYourFleet.com for allowing us to use their smart car and for supplying the balls. Special thanks to Tony Moon and Phill Rhodes for their help and support before and during the day. Thanks to Van Buren for sending us this photo that he took from the stage. It was an absolute pleasure to support this event. 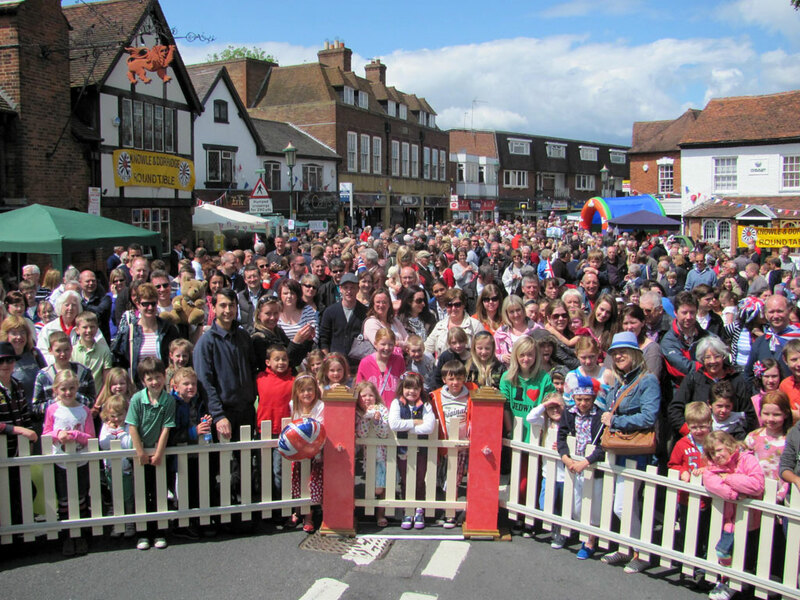 Without a doubt – the best community event I have ever seen in Knowle. Well done to all who took part in the event – either as a participant or a member of the public just enjoying it! PS. Thank you for the mention!